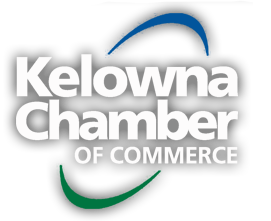 The Kelowna Chamber of Commerce is very concerned about the revised draft of the "anti-spam" rules that Industry Canada announced on January 5, 2013. Canadian anti-spam legislation and the corresponding regulations have taken a "ban-all" approach to regulating commercial electronic messages (CEMs). Currently the way the regulations are written, the broad scope of CASL will impact every single business, association, club, charitable organization and foundation that conducts activities in Canada, regardless of country of origin or the destination of messages because (except for some very narrow exclusions - most of which are not available to the not-for-profit sector) every single commercial electronic message (CEM) sent or received in Canada is captured under CASL. The onus on businesses and organizations (think hospital foundations, Heart & Stroke, Diabetes, chambers of commerce) to track and maintain consent information for CEMs is excessive. Will SME businesses have time to devote to this on an ongoing basis – without hurting your productivity, and without incurring extra costs? Without significant modifications and exceptions, this legislation will impede commercial speech, an essential ingredient of market competitiveness and lead to reduced competition and higher prices. Ultimately, this legislation and the regulations in their current form will not solve the problem of nuisance/fraudulent messages or of nuisance/malicious software, which are generally initiated outside the jurisdictional reach of the CRTC, the agency tasked with enforcement of the CASL. 1. Businesses will need permission to send an email! Canadian Anti-spam Legislation and the corresponding regulations have taken a "ban-all" approach to regulating commercial electronic messages (CEMs), meaning all emails, SMS texts, and some types of social media messages sent in a commercial context are captured by the legislation. 2. Permission cannot be received by sending an email! be obtained by sending a CEM. The definitions for consent (both implied and express) are prescriptive and have a much higher threshold than under existing privacy legislation. 3. Businesses will need to maintain a database that proves they have permission to send these emails! The legislation requires a technology solution opt-out mechanism in all CEMs which must be backstopped with a robust and sophisticated database of all business/personal relationships and removals of consent. 4. Getting it wrong could be expensive – and businesses could be sued! The administrative penalties for non-compliance are high – up to $1 million for individuals and up to $10 million for corporations. The Canadian Radio-Televisions and Telecommunications Commission (CRTC) is interpreting this as a per infraction cap. There is also provision for private right of action. 5. Businesses need to act now! a 30-day comment period. This means the turnaround for comments is short as the deadline for comment to industry Canada is February 4th, 2013. 1. Get informed about the impact of the legislation and regulations. Information about anti-spam can be found on the industry Canada Website here. 2. Express your concern about how this legislation will impact your organization and make suggestions about improvements to the regulations that will lessen the impact on your organization. Additional details regarding the impact of this legislation, including recommended changes, will be posted on the Canadian Chamber of Commerce website in the coming days (please check here). Comments to Industry Canada on the proposed regulations must be received by February 5, 2013 and can be submitted electronically to Industry Canada: bruce.wallace@ic.gc.ca. 3. Send a letter to your local MP, expressing your concerns and the impact this will have on your organization. To find contact information for your local MP, please visit the Parliamentary website here.